I love wallpaper (let me clarify: I love GOOD wallpaper). I am not a fan of fruit borders in kitchens, faded laura ashley florals or anything with a sports motif. 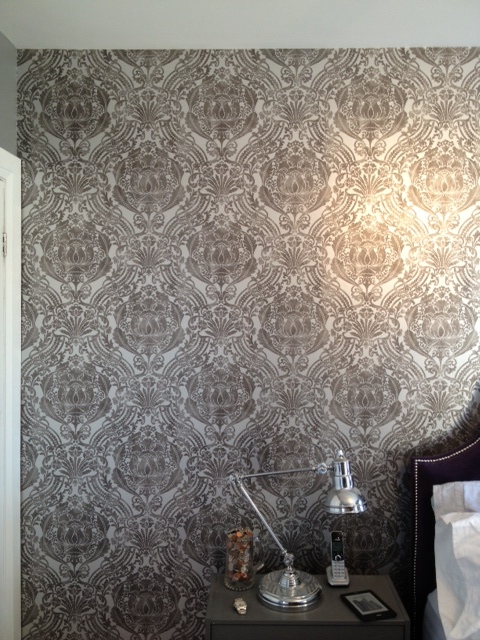 Good wallpaper can make quite an impact, even without being a bold colour. 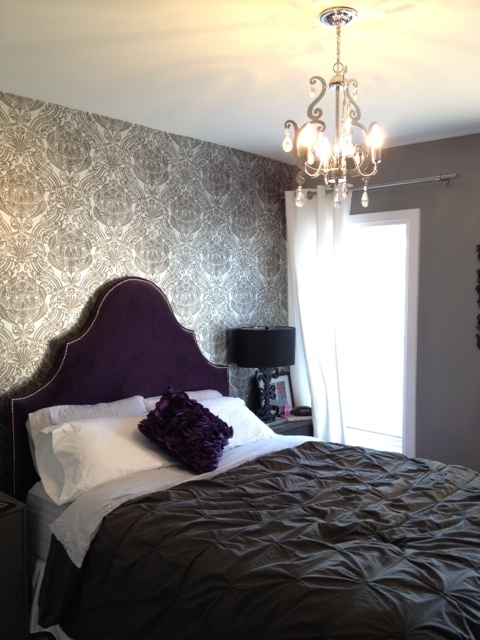 When designing our Master Bedroom we wanted to add a little something special, and decided wallpaper was the way to go. 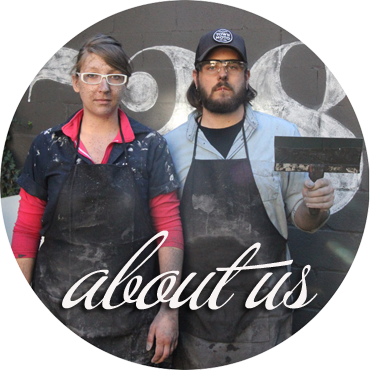 We painted three walls a medium grey, and started sourcing wallpaper for a feature wall. I ordered samples and sourced online, but when I got the samples in the mail nothing was perfect. Not to mention it was expensive! We needed 4 single rolls or 2 double rolls just to cover one wall. Eep. I wouldn’t let the wallpaper dream die, so every time we went somewhere that sold wallpaper I would check out their stock selection in hopes of finding something perfect. 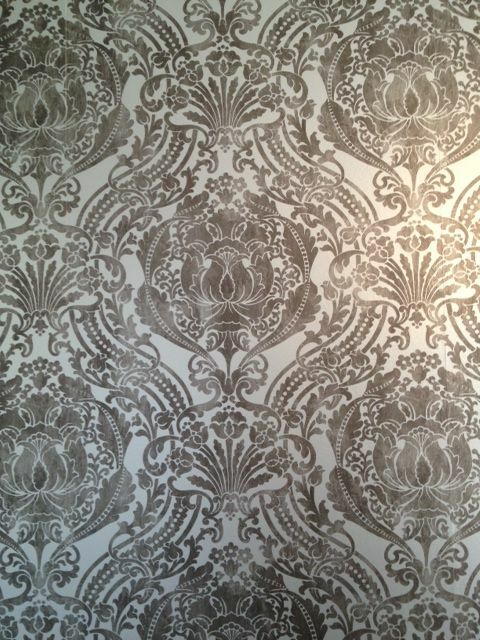 I lucked out at Home Depot one day when I spied a pretty silvery damask that would be perfect in our room! At $40 for a double roll, we picked up two rolls and a wallpaper kit and then proceeded to do nothing with them for months. Why the procrastination? We didn’t want to screw it up, and were holding out till my Mom came to visit and she could lend a hand (Mom & I work amazingly well together!). Mom & Dad came for a visit, and we were talking about maybe working on the wallpaper one evening. 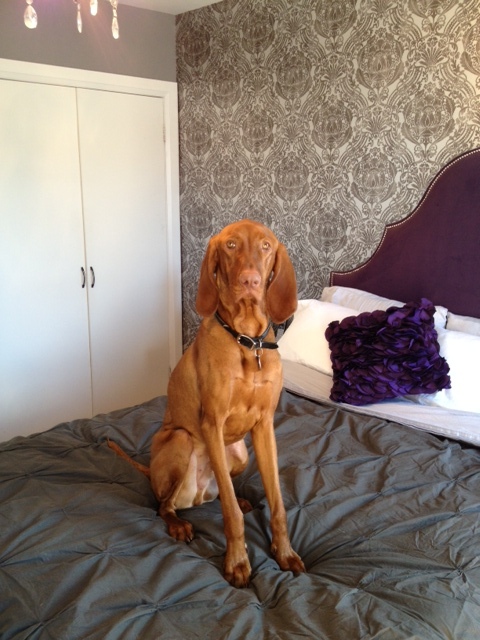 El Granto & I went to work the next day and came home to find the wallpaper DONE! Mom & Dad had hung it for us while we were at work. I may love doing DIY but it was kind nice to have one task completed without any producing any sweat or sore muscles! So what do you think of our little wall of glamor? Pretty great parents, I'd say. Real pros too: looks like they centred pattern to your headboard! They're pretty amazing! In this room alone, Mom helped me make the headboard, and the chandelier is from the wedding gazebo my Dad made for El Granto & I to get married under! I have been thinking chartreuse, I just have to get the husband on board! Gorgeous. I love a good wallpaper.